Don’t leave your subscribers out in the cold. Welcome them inside into the warmth, where they can feast themselves on your products. That’s what today’s podcast is about. Chuck Mullaney is an underground internet marketing legend. In his first year online, he made over $500,000. He has 11 years of online success and 8 years mentoring experience. What’s intriguing about Chuck is that he learned email marketing before going to the guruz. This gave him the opportunity to develop his own unique strategy instead of doing what everyone else was doing. That’s his edge. It’s unique. 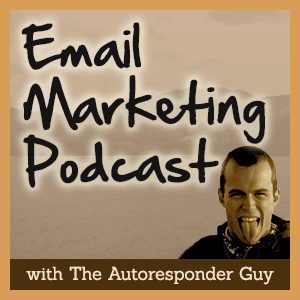 And in this episode of the Email Marketing Podcast, you’ll discover how he does it. how many offers should you send your list? what’s the most important part of sending an email?